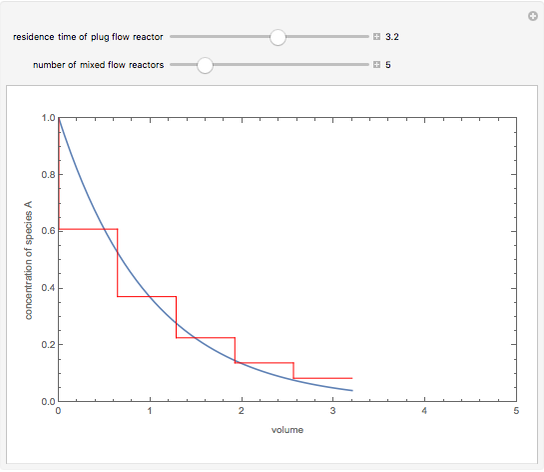 This Demonstration shows the concentration profile of species A subject to a first-order irreversible reaction for a plug flow reactor and a series of equally sized mixed flow reactors. 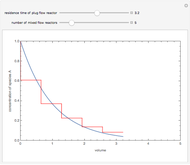 Both configurations considered have the same residence time. 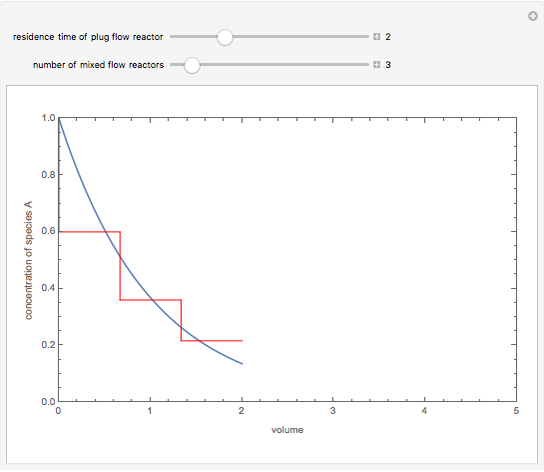 Observe that when the number of mixed flow reactors in series increases, the behavior of a plug flow reactor is approached. 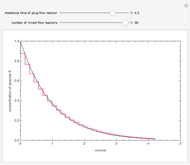 In addition, for reactions whose rates increase with the reactant concentration, the performance of the plug flow reactor is superior. 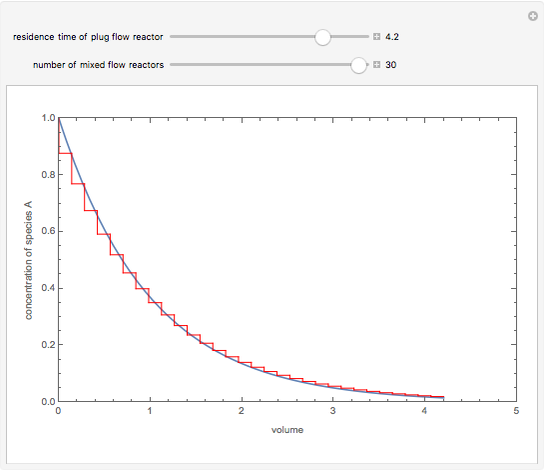 Indeed the exit concentration of the reactant is lower for the plug flow reactor configuration. 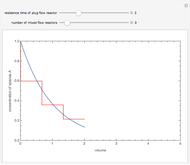 , where is the residence time of a single mixed flow reactor. Reference: O. Levenspiel, Chemical Reaction Engineering, 3rd ed., New York: Wiley, 1999. Housam Binous "Equally Sized Mixed Flow Reactors in Series versus Plug Flow Reactor"